This display was done by the Keiki (children) corner. 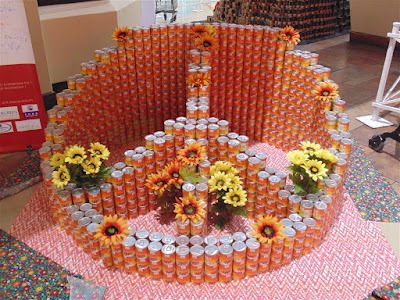 It is called Give Peace a “CAN-CE” Here local children can have fun doing what the architects, designers and builders did and building this CANstruction display. 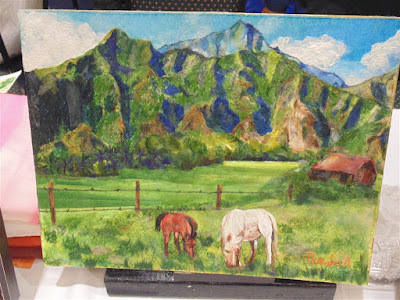 You can view this and many other display at Pearlridge Uptown though October 18. Bring cans to donate and vote for your favorite display. 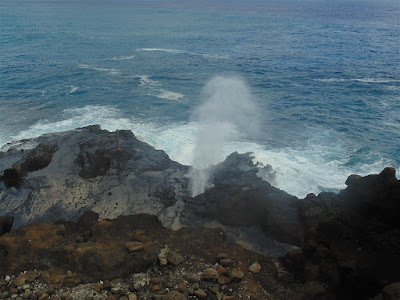 The Halona Blowhole is a natural rock formation the shoots ocean water high into the air like a geyser. This occurs when ocean waves hit the formation at the right angles. It is popular with tourists and locals to marvel at the power of the waves. Please stay in the lookout area and do not venture down towards the blowhole. Unpredictable waves have washed people off the rocks into dangerous situations.